Obviously, I had myself a little pity party weekend. There may have been wine. But in the end I was well rested. And now I’m no longer wearing pajamas. I joined the land of the living. And I get my baby back soon. 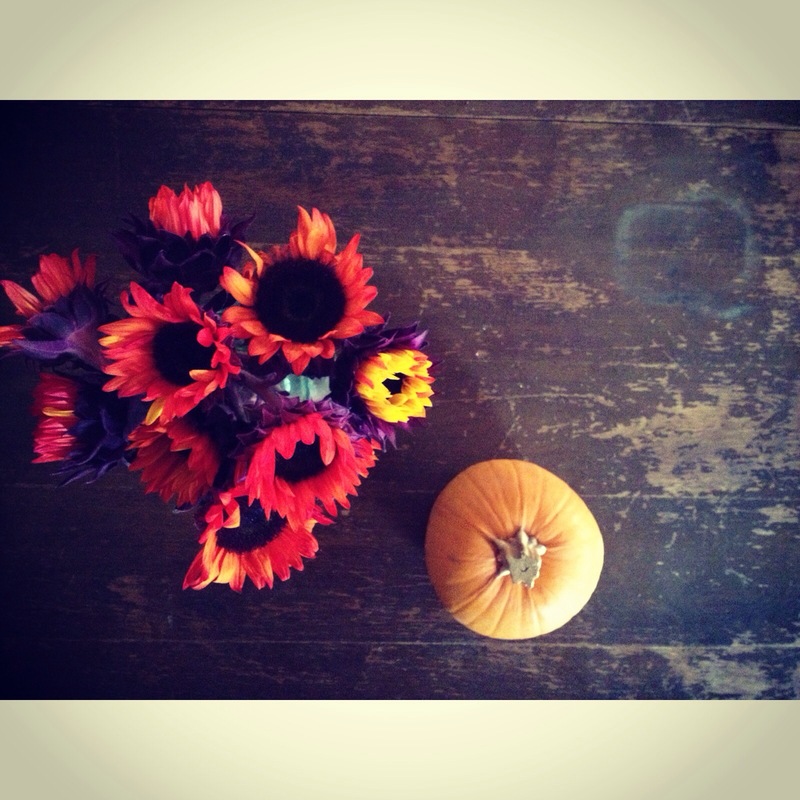 She’ll like the new flowers on the table, and the pumpkin, and the new snacks in the kitchen cabinet. The kid is super into snacks. Legs like hollow tree trunks that one. I’m happy and looking forward to the day. In the words of Paris Geller, I could hug a dolphin. Told you I watched an obsessive amount of Gilmore Girls. It’s so difficult to share a child in these circumstances. Stay strong. You’re a great mom. As a parent myself, I can imagine how you felt this weekend. Enjoy those little arms wrapped around your neck as you get that first hug when you see her again. And isn’t Gilmore Girls the best comfort show? I love it! I’m a pity-party pro for serious. I mean, I think I invented them. Glad you have a friend close by too. Hoping that will take the sting out of the Jane-less moments. Other than missing your little one…it sounds like the PERFECT weekend to me!